A complete portfolio of essential equipment including DNA purification, thermal cyclers, sequencing systems, hybridisation ovens and electrophoresis. 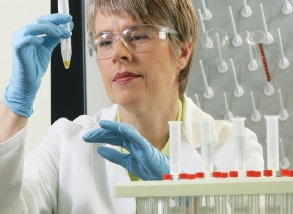 Benefit from our core expertise in the development of PCR and hybridisation equipment. Perform horizontal (agarose) or vertical (polyacrylamide) gel electrophoresis of nucleic acids and protein using tanks, chambers, casters, plates, spacers, combs, power supplies, and other accessories of Thermo Scientific™ Owl™ gel electrophoresis systems. The most comprehensive electrophoresis product line, including staining boxes, power supplies, and gel dryers. Sleek, low profile electroblotting systems for fast, efficient transfer of proteins and nucleic acids to membranes. The most durable systems on the market. Save lab space with these chemical-resistant tube racks. Organize and store test tubes in these convenient tube racks. View our floating microtube racks useful in genetic cloning, microbiology and immunology labs. Conserve valuable lab space with stackable, Thermo Scientific™ Shake n Stack™ Hybridization Ovens. The space-saving design and excellent uniformity is ideal for molecular biology labs.